Hagr Edfu from the north, with the modern monastery at the foot of the main hill (Photo: W. V. Davies). A British Museum expedition has been working at the necropolis of Hagr Edfu under the direction of W. V. Davies since 2001. 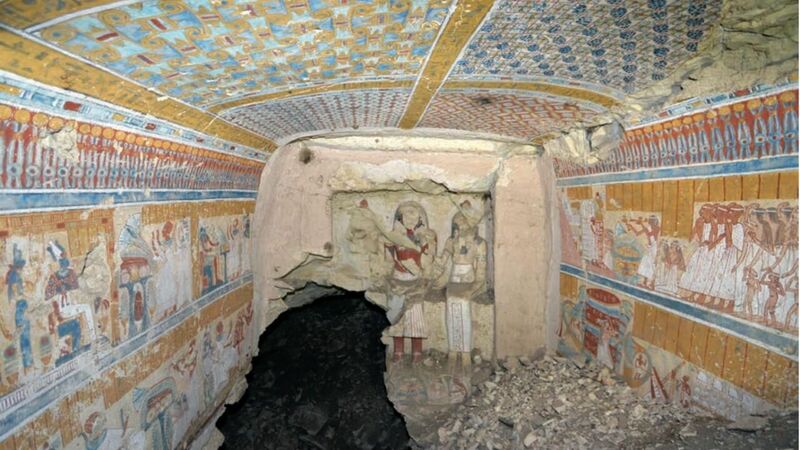 In recent years, the expedition has documented a group of three tombs at the foot of the main hill of the site, originally uncovered by the Egyptian Antiquities Service in 1941. 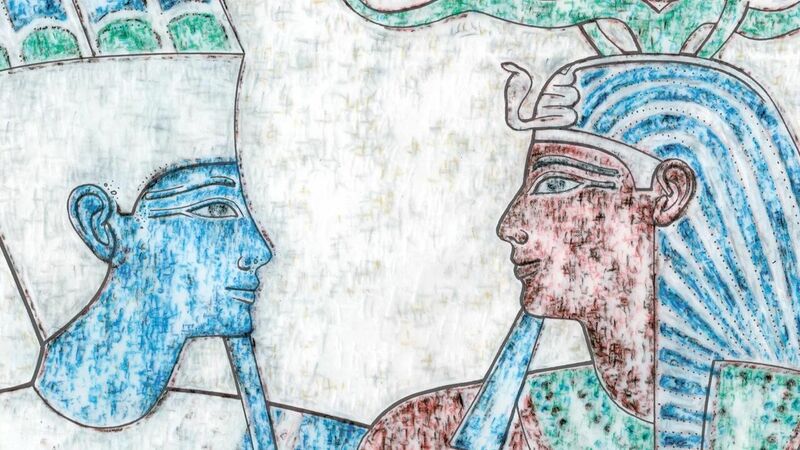 One of the tombs belongs to a high official named Sataimau (HE Tomb 1, Area 3) and is dated by inscription to the reign of King Amenhotep I. The two others were left undecorated by their original owners but bear a large number of secondary motifs and inscriptions. The east wall of the first chamber “bears a number of hunting and fishing scenes, with the two major scenes placed apotropaically on either side of the entrance… The main scene to the south of the door shows the tomb-owner standing in a papyrus-boat harpooning two fish, accompanied by his wife and daughter, both named Ahmose, and a son named Amenhotep. Not specified by the author. 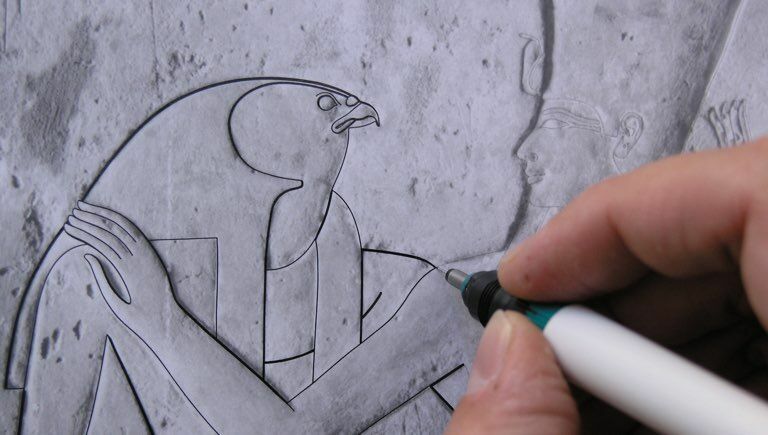 The core epigraphic team in the Tomb of Sataimau comprised Vivian Davies, Marcel Marée, Ilona Regulski and Claire Thorne, who has also prepared drawings for publication. Additional assistance has been provided by Renée Friedman, Sabine Kubisch and Will Schenck. Fig. 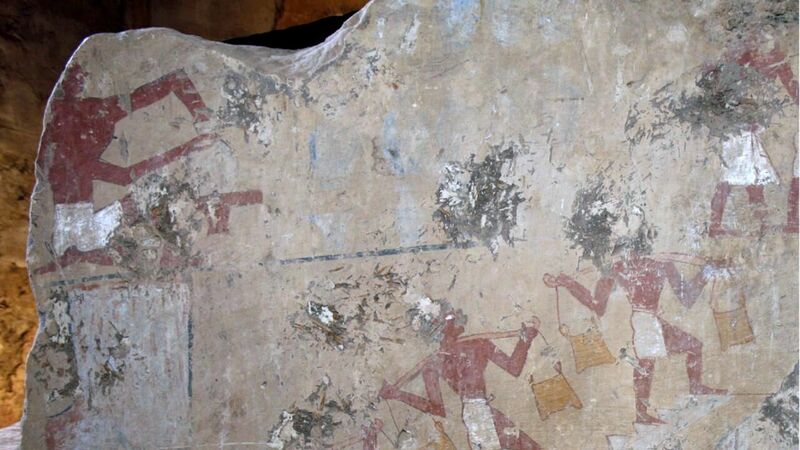 9: HE Tomb 1, east wall, left, detail of hunting scene (click to enlarge). Fig. 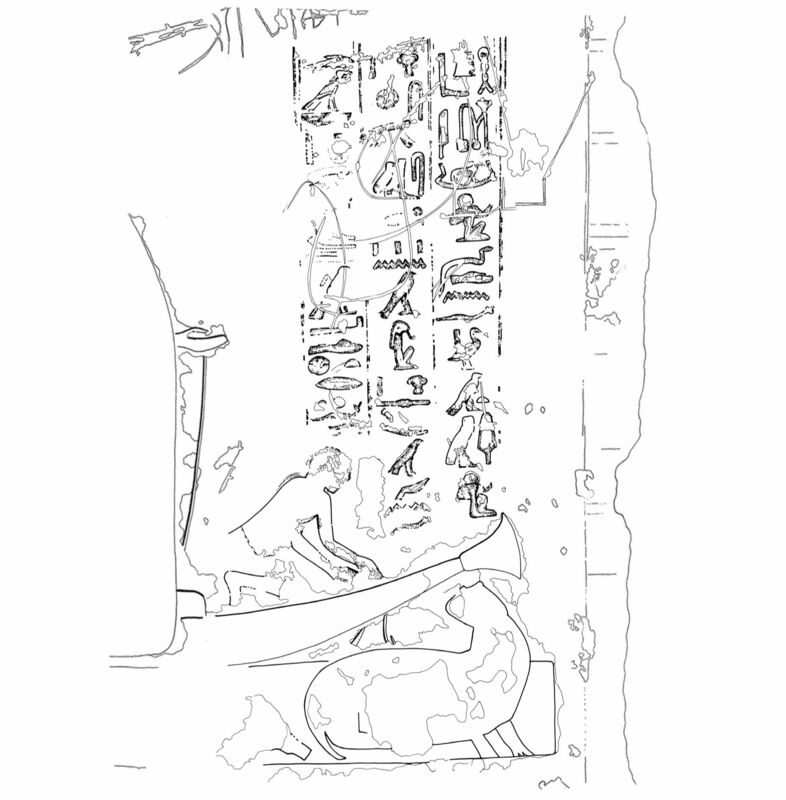 12: HE Tomb 1, north wall, section of frieze-inscription (click to enlarge). Fig. 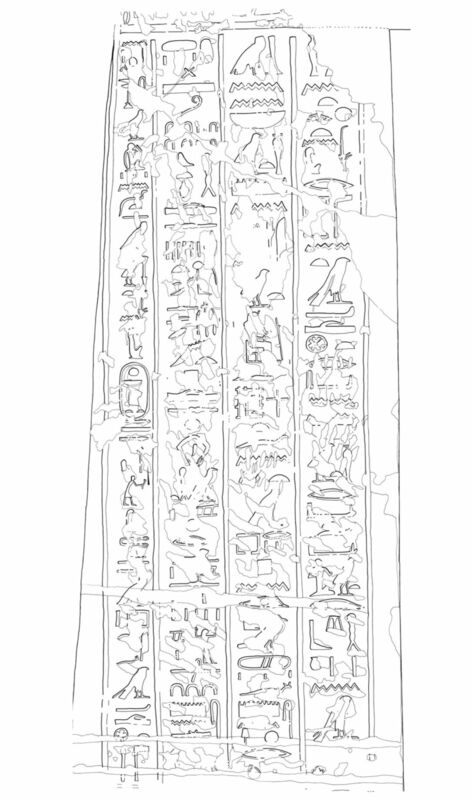 18: HE Tomb 1, niche-façade, left jamb, inscription (click to enlarge). Fig. 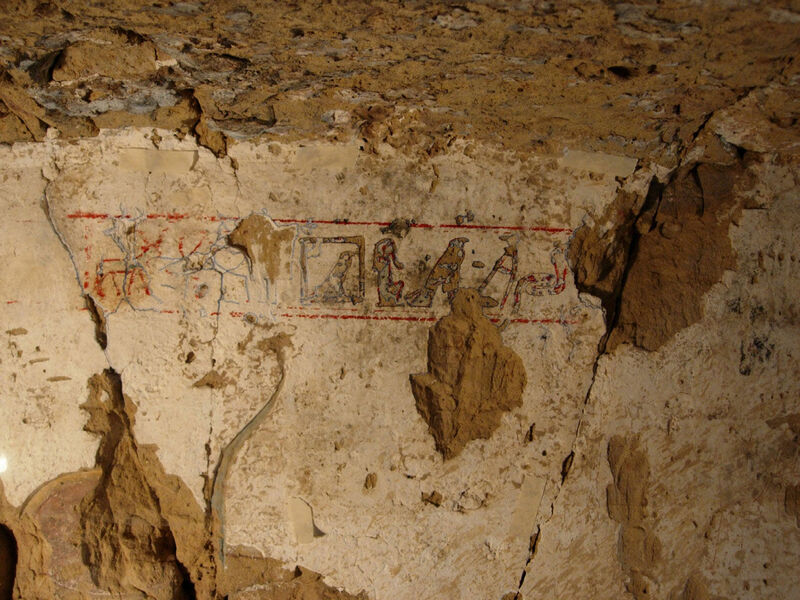 10: HE Tomb 1, north wall, left (Photo: Y. Kobylecki). Fig. 23: HE Tomb 1, niche interior, north wall, inscription as recorded on transparent acetate (Photo: W. V. Davies). 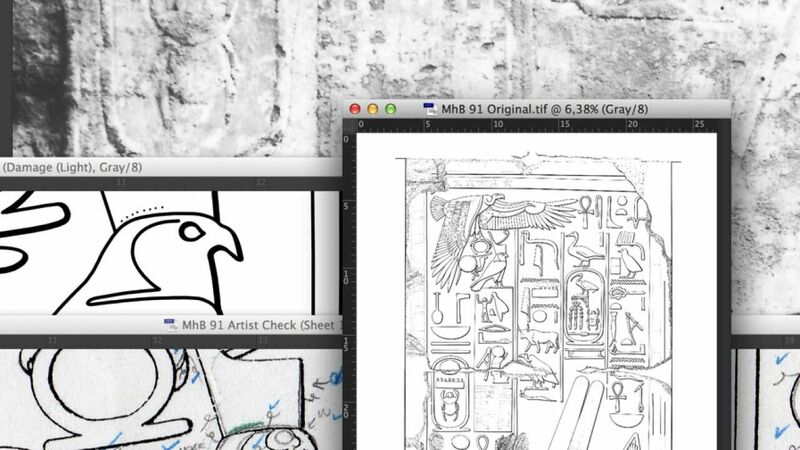 Hagr Edfu, Area 3, collation of inscriptions, pottery drawing and measuring elevations in Tomb 1 (Satamaiu, above) and cleaning and recording of inscriptions and motifs in Tomb 3 (below) (Photo: James Rossiter). Carved remains of the decorated surface are presented within the boundaries of the generally accepted sun-shadow conventions, applied consequently and consistently throughout the entire documentation material. Damage outlines, although thoroughly indicated over the entire decorated area, are shown in a very subtle manner by using thin, light-gray, single weight lines. In certain occasions, weathered surface is indicated by a dotted fill. 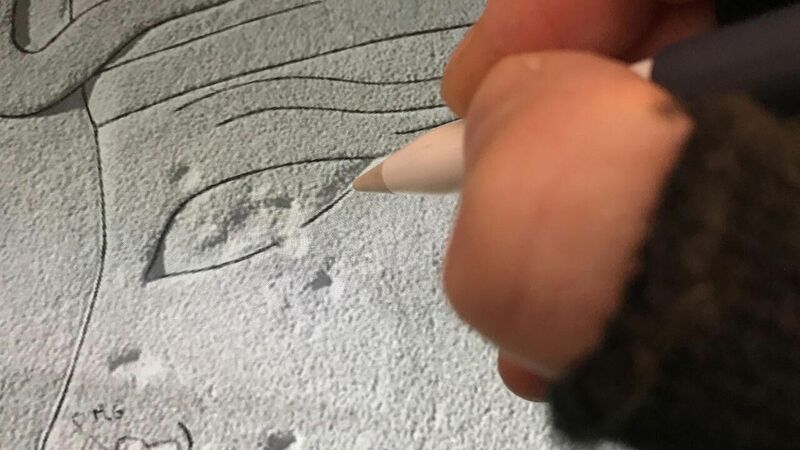 These specific cases refer to decorative elements that aren’t present anymore, due to the disappearance of the weak filler material used to cover the imperfections of the wall surface (Fig. 12). Faded and fragmentary painted remains, such as preliminary sketches, preparatory grids etc. 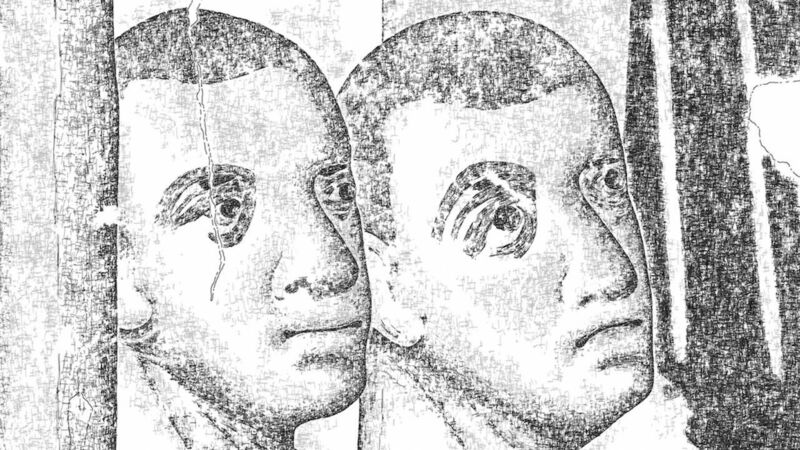 are presented with thin, single-weight outlines as long as their features can be safely determined. 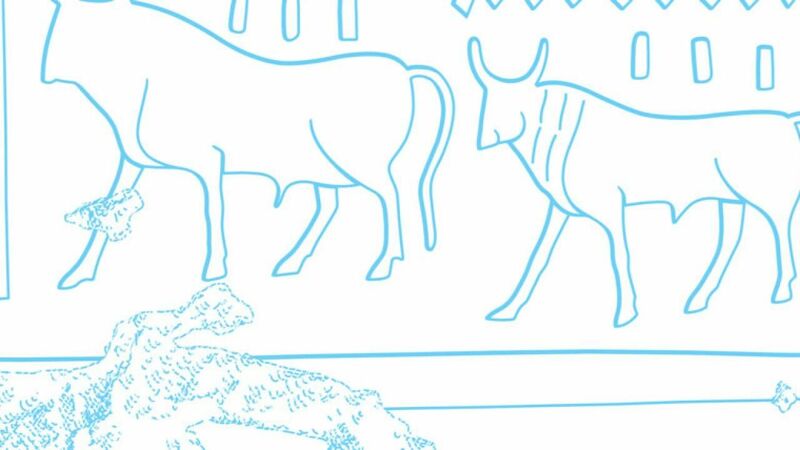 W. Vivian Davies- The Tomb of Sataimau at Hagr Edfu: An overview in: British Museum Studies in Ancient Egypt and Sudan 20 (2013): 47–80. W. Vivian Davies and Elisabeth R. O’Connell- British Museum Expedition to Elkab and Hagr Edfu, 2012 in: British Museum Studies in Ancient Egypt and Sudan 19 (2012): 51–85. 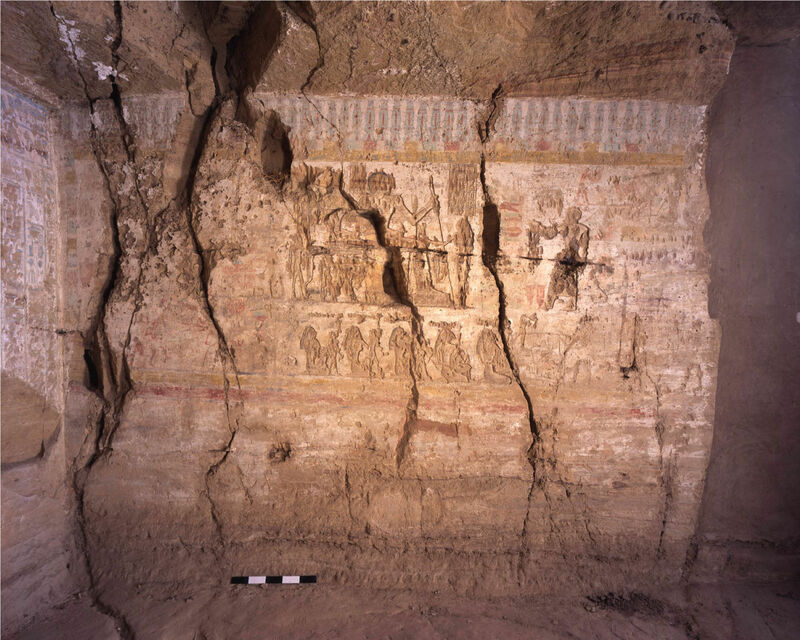 A British Museum expedition under the direction of W. V. Davies has been working on cleaning and recording the pharaonic tombs of Elkab since 2009. 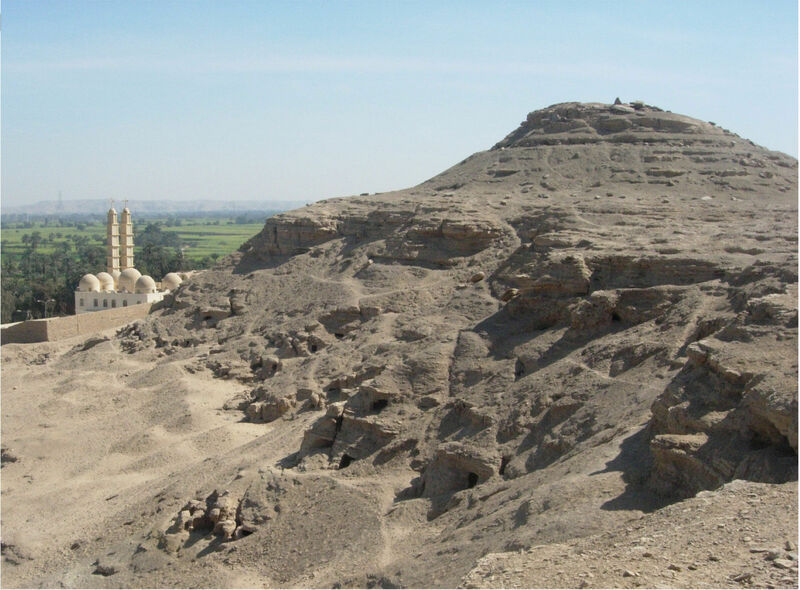 The tomb discussed here was built for Senwosret, a governor of Elkab probably during the early 12th Dynasty. Delighted to have these available as I can hardly climb up to the tombs any more. I particularly like Khnumhotp II. Dear Vivien, thank you very much for your kind words and your interest in our Reading section! We are planning to add as many relevant documentation projects to our corpus as possible, so stay with us in 2019!